Ahhhhh, Sunday morning. The perfect time to sit down with a cup of coffee and actually open and read some of those links I’ve been eyeing up on twitter and facebook. This week I started jotting down a few ideas for a couple blog posts and now I am searching social media to help with some thoughts to finish one. I read through a few posts and news stories until I stumble upon a newly posted video of a TEDx talk by Robert Saik on GMOs. Knowing Roberts company (AGRI-TREND) and his values, I figure that I should take the 20 minutes and listen, and I am really glad I did. Our farm is not a customer of AGRI-TREND so there is no conflict of interest, this is not a paid post, and I am not ‘shilling’ in any way. It is sad that these are statements that I feel I have to make when speaking up for biotechnology and agriculture, but the accusation of somehow being employed by “big Ag” (whatever ‘big Ag ‘means) is all too common. Although we are not affiliated with AGRI-TREND in any way I really do admire what Robert has done with it. A company that tackles the many different issues on a farm; finances, technology, and things like environmental responsibility. It has seemingly endless resources to help a farmer balance the numerous consequences every decision on the farm can have while considering production costs and helping to ensure the land (and operation) is viable for years to come. In this day and age of agriculture, farmers are not afraid to admit that sometimes we need help. Depending on the day I know I would get good use out of a degree in commerce, agronomy, and human resources. Not to mention a few courses in heavy duty mechanics, economics, marketing, and business. 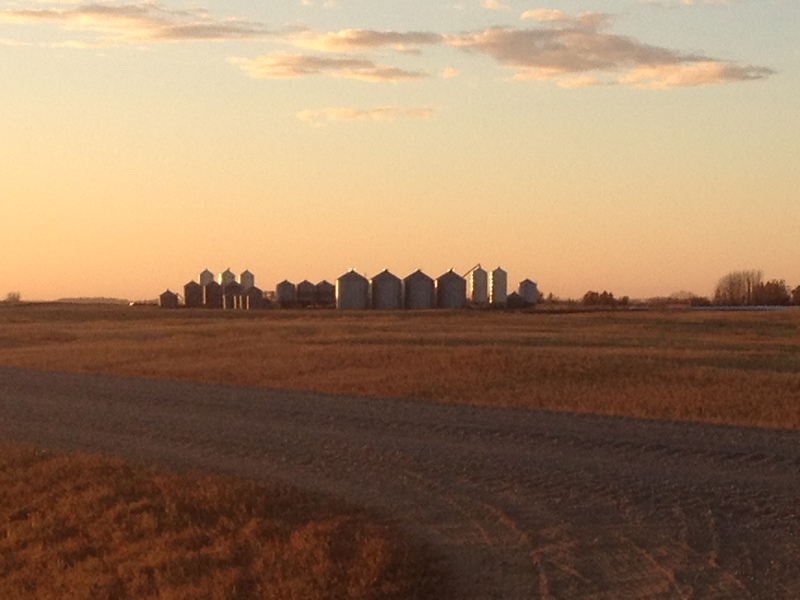 But AGRI-TREND and balancing the decisions on a farm is another blog post for another day. Anyone that knows me and follows my blog, twitter or facebook page may find some of this a bit of an echo. You will know that one of my biggest pet peeves is the fear that is used in marketing. Food fear is a growing problem in our society and it is becoming more evident with the growth of products sporting labels such as GMO FREE, GLUTEN FREE, NATURAL, HORMONE FREE, ORGANIC, and the like. Because I am a farmer all of these things cause a bit of a reaction with me, but none so much as GMOs. I am not a science communicator. I find it very difficult to get across why this should be important to the average person because in truth most people don’t really care. Here I am making a simplified list of why I think everyone should pay at least a little attention to this issue. 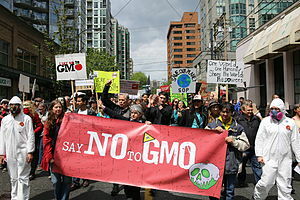 1) In my mind GMOs are safe. This is not just my opinion. This is the opinion I have come to after talking to those much more knowledgeable than me on the subject and studying their work. If we are going to grow something on our farm, sell it, and eat it ourselves – I want to make sure it is safe. But don’t take my opinion as fact, listen to the experts. There are over 2000 studies proving that GMOs are safe. Over half of them are independent. GMOs are tested more than any other plant breeding method and on average it takes more than 13 years and 130 million dollars of research and development to bring a GMO to market (the numbers vary slightly from crop to crop but regardless it is 10 to 50 times the level of testing vs. crops bred with other methods). There has been trillion meal studies done, and we have been consuming GMOs for 20 years with no proven ill effects. The scientific consensus is “Genetically engineered crops currently available to the public pose no greater health risks or environmental concerns than their non-engineered counterparts.” – this opinion is held by; The American Medical Association, U.S Food and Drug Administration, World Health Organization, Health Canada, The Royal Society of Medicine, Union of German Academies of Sciences and Humanities, International Council for Science – just to name a few. You can see a more complete list of the organizations around the world that agree, here. 2) But, the Anti-GMO voices are extreme, and loud. Those that choose to ignore the weight of evidence tend to be the loudest in the group. Although most are well intentioned, believing they are only informing others of GMOs, their concern is misplaced. In my experience it doesn’t matter what you choose to believe there will be some sort of link on the internet to substantiate your position. In the case of GMOs there have been a handful of poorly conducted studies that supposedly show GMOs cause harm. It takes skill practice and sometimes scientific training to decipher what is good information and what is junk. Sadly most of us don’t know how to distinguish between the two. Here is a list of 10 studies that are often use as evidence to say GMOs are somehow harmful. This breakdown shows the errors in the scientific method or why these are not real ‘studies’; http://geneticliteracyproject.org/2014/08/05/10-studies-proving-gmos-are-harmful-not-if-science-matters/. With protests such as “March Against Monsanto” and numerous propagandist films spouting the dangers of our food supply and biotechnology, more and more people are getting sucked in to the ‘Big Ag’ rhetoric. The very real danger of policy being passed because of unfounded fear and emotion looms over us (and has happened recently in certain states). For the most part we as farmers and scientists have been quiet about how this technology has helped us and how great it is. 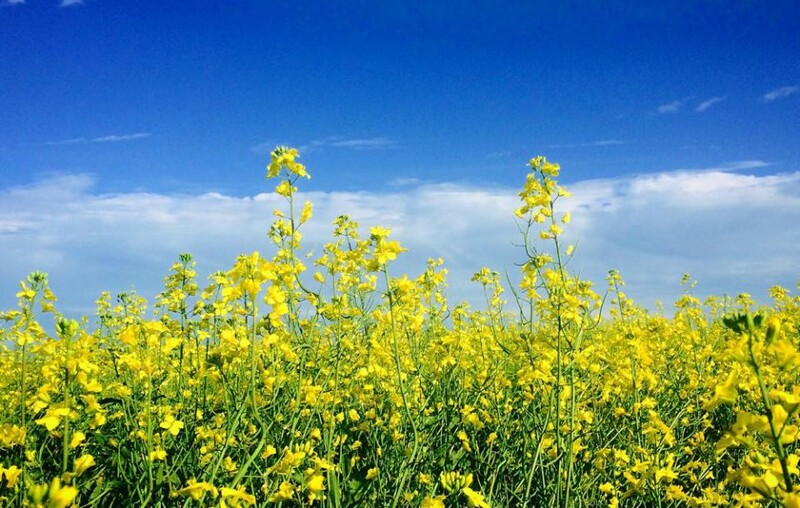 In a recent roundtable discussion between a group of academics on GMOs one person said – “We are doing important things for the environment and human health and are being outshouted”. Plain and simple, the wrong message is being heard and believed. As a friend recently posted on facebook ‘some people will try to tell you that global warming isn’t a real thing because only 97% of the world’s scientists agree that it is happening. 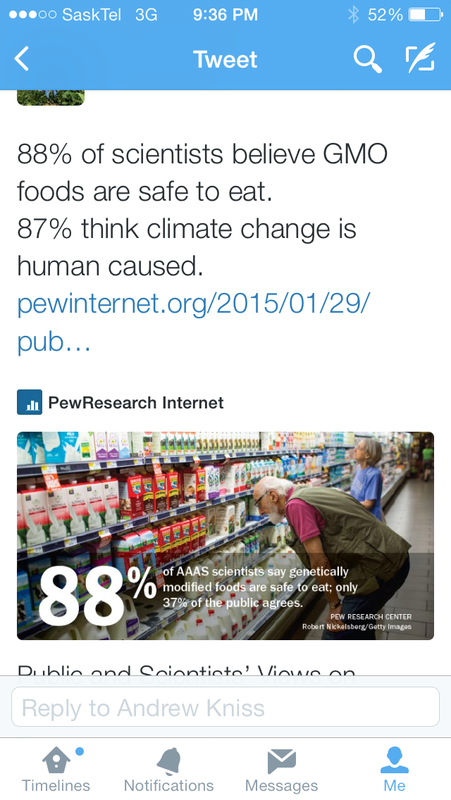 Similarly some people will try to tell you GMOs aren’t safe even though 99% of the world’s scientists say they are”. I was not able to verify these numbers anywhere (see edit below) but the quote really made me think. Who are we giving a voice to? Why is the 30 something, well off mother in California (who has a blog and says GMOs are bad) the one that has credibility? Why does your local fast food restaurant advertise GMO Free food? Or your grocery store? We need to pay attention to who we are listening to. GMO fear has intensified in recent years, promoted by the organizations that profit from convincing people they are dangerous, and the many people who have fallen into their trap. Belief systems are very resistant to facts and evidence, even tons of it. Sadly it seems that those fighting the hardest against this life saving technology have no idea what it takes to avoid massive crop losses and to feed 7.5 billion people. 3) Why should you care? Because people are dying. Today, about one-in-eight people across the world do not have enough food to eat, between five and six million children die every year from malnutrition, and 500,000 go blind due to vitamin A deficiency (from World Hunger.org). Edit: date of Pearl Harbor is incorrect on the graphic. It is easy for us to forget or ignore these facts because it seems that it is not on our doorstep, but it may not be all that far away. “Each month, close to 850,000 Canadians are assisted by food banks, and 36.4% of those helped are children and youth.” In our far north, hunger is a huge issue that is demanding attention from our government. Somehow our priorities have got mixed up. There is no doubt that food distribution and waste are issues that need attention in our production system but these things alone do not have the power to feed the world (and biotechnology can help solve many problems in these areas too). Focusing only on one problem also ignores the fact that our climate is changing and we could at any point in time have widespread crop failure, tightening our food supply even more. We also have to produce more food every year as the population grows. Short of clearing more land, biotechnology is our best shot at achieving this goal. We have to care about the children of the world who are dying today but we also have to care about our children’s children. A world with an insufficient food supply is a world faced with starvation, death and war. Because medicine is not my area of expertise I won’t focus on it but it is worth mentioning that drugs made from GMOs now constitute approximately 25 percent of all new drugs approved for the market in rich countries. I have a family member that suffers from diabetes, he would have trouble finding insulin without genetic modification technology and if it still only came from the pancreas of slaughterhouse animals (cows and pigs). This is another very important reason we all should give this matter some thought. So why do I care more than the average person? Because the results of using this technology on our farm are very positive and the possibilities are exciting. The idea of lessening the pesticide load used in farming even more than we already have is a welcome thought. The mother in Africa being able to grow drought resistant maize to feed her family. Producing more food with fewer inputs, being able to grow crops on land that currently is unusable, fully being able to practice conservation agriculture, and finding new ways to preserve the land for my children to farm – all of these things seem possible with biotechnology. No matter how loud the other side shouts, the truth is; current biotechnology is safe and has the potential to help us feed the world and sustain the environment in the best possible way. It is time for farmers to tell our story and stand up for agriculture. I implore you to take a few minutes and watch Robert’s video, linked below. His talking points are great and I agree with them all. This discussion does a great job at taking a very complicated issue and making it understandable. Please don’t let others make the decision for you, listen to the experts and lend yourself to a knowledgeable opinion on the future of our food. Hi! Someone pointed out that the graphic with Pearl harbor is dated incorrectly. It reads 1979 instead of 1941. Thanks. The graphic isn’t mine, I will post an edit to the blog.